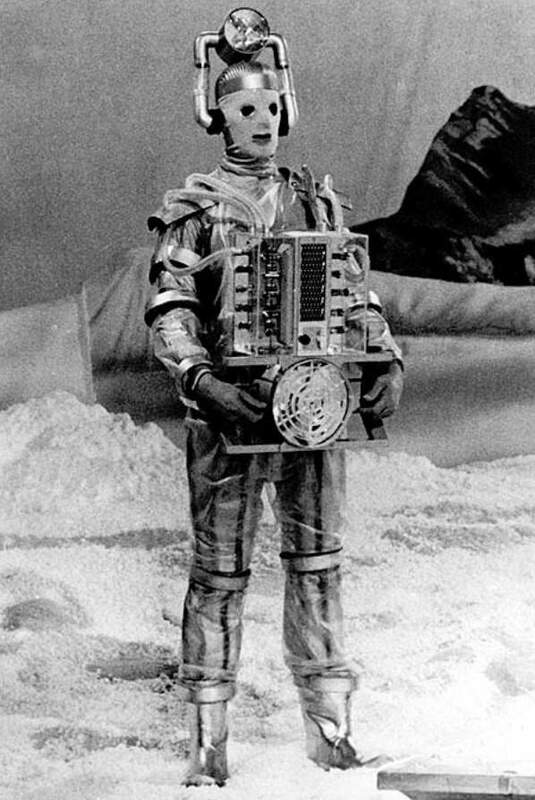 ‘The Tenth Planet’ is a key moment in Doctor Who’s history for three reasons. Firstly, the plot of the story would form the basis for the ‘base under siege’ format which would recur time and again over the next few years. Secondly, it saw the introduction of the Doctor’s ability to regenerate his body, but more of that in a few weeks. 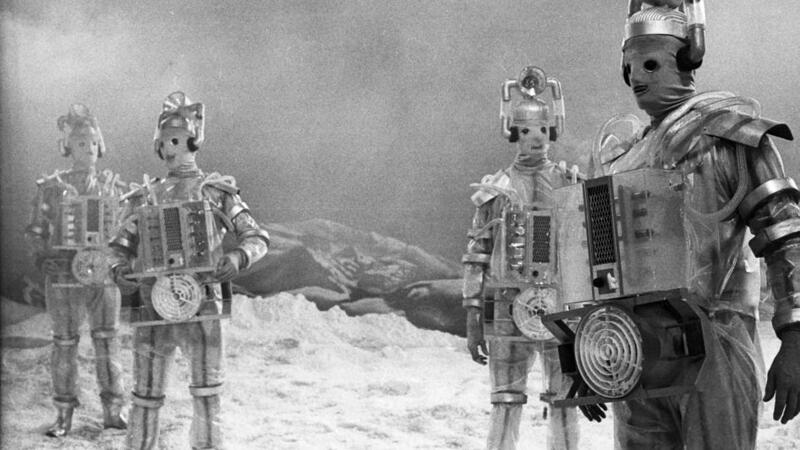 And finally, this first episode sees the debut of the Cybermen. That’s right, it is 50 years to the day that viewers were first introduced to the silver giants. Kit Pedler, a former Doctor of ophthalmology, had been brought in by the production team to add his scientific knowledge to the show. His first contribution would be on ‘The War Machines’ a couple of stories earlier. Asked to consider other scientific concepts Pedler drew on the growing debate concerning transplantation. The first heart transplant would later follow in 1967. Considering the potential for replacing human organs, tissues and limbs with artificial parts he envisioned what might happen if it was taken too far. Writer Gerry Davis then took his idea and moulded it into TV drama. And thus the Cybermen were created. In classic Doctor Who tradition, the reveal of the monstrous villain served as the end of episode cliffhanger. Emerging out of the snow, they loom large over their victim. Bullets can’t stop them. The final shot of the episode fully showcases the new creature. Although their appearance is rudimentary, they are constructed out of necessity. This is true in story terms but also because of the fast paced production process and limited budget. Although clearly no longer simple humans, the glinting of their eyes and the humanoid hands, painted silver in reality and not fleshy, all add to the horrific imagery. The design would develop constantly over the next 50 years but in this first appearance more than ever the viewer gets the sense of a man trapped inside a machine. As we would learn in later episodes the people of Earth’s twin planet Mondas, fearing physiological breakdown and death, developed artificial additions. Implants and replacements, stripped away their humanity, leaving them emotionless and cold. It offers a terrifying vision of what could happen as human beings strive to defy the natural order and avoid death. Those themes are probably all the more prevalent now with cosmetic surgery a huge industry. Do we run the risk of losing our personal identity in the quest for a prolonged existence? The legacy of the Cybermen continues not just in Doctor Who but has stretched to other media as well. Interestingly Iron Man had debuted in Marvel Comics’ ‘Tales of Suspense’ #39 in 1963 and so predates the Cybermen. Whether Kit Pedler and Gerry Davis were aware of him, who knows. There is an element of the Frankenstein monster myth about them also, cobbled together in a quest to create life. 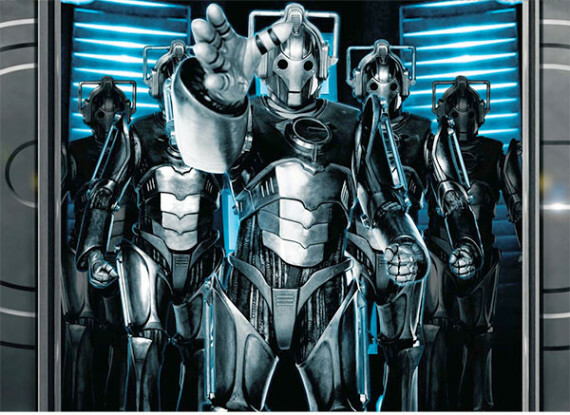 However, the Cybermen in turn, would also inspire future other science fiction villains such as the Borg in Star Trek and the Cylons in Battlestar Galactica. But rarely have the Cybermen or those creations that followed them, been as horrific as they are in this first appearance. In ‘Age of Steel/Rise of the Cybermen’ their technology has developed so that only the brain was salvaged and placed inside a suit of steel. The latest version is also much closer to Iron Man. These design changes sadly forget their grotesque origins but revisiting this first appearance 50 years on is a perfect reminder.